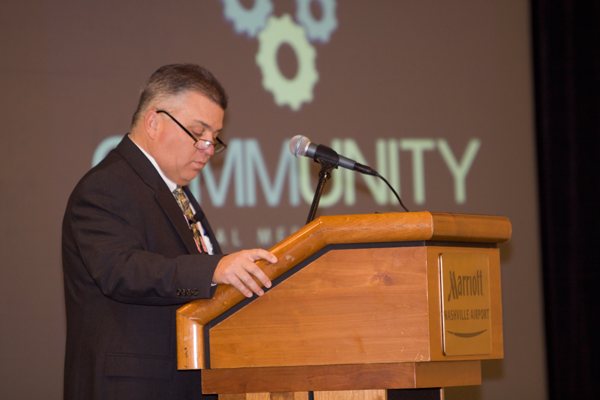 NASHVILLE – The 71st annual meeting of the Tennessee Electric Cooperative Association was held Sunday – Tuesday, Nov. 18 – 20, at the Nashville Airport Marriott. The theme of the meeting was “Community,” and Bill Rogers, Caney Fork Electric Cooperative general manager and president of the TECA board of trustees, called the meeting to order. Representatives from 23 member systems and one associate member were present for the business meeting. Rogers and TECA General Manager David Callis, the resolutions committee, TECA staff and representatives from the National Rural Electric Cooperative Association and National Rural Telecommunications Cooperative presented reports and updates. Elections were held for four-year positions on the TECA board of trustees. Robert Kendrick, board member at Southwest Tennessee Electric Membership Corporation, was elected from Region I. Britt Dye, CEO and general manager of Fayetteville Public Utilities, was elected from Region II. Robert Drinnen, Appalachian Electric Cooperative board member, was elected from Region III. 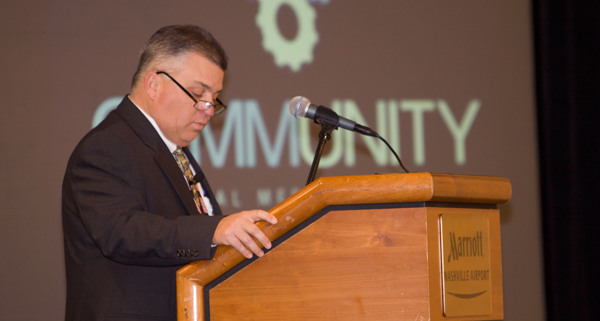 Throughout the year, TECA presents training and education programs for cooperative directors. Recognized at this year’s annual meeting, board members receiving Credentialed Cooperative Director status were Michael Bouldin, Caney Fork EC; Anthony Kimbrough, Duck River EMC; and Robert Sherrill, Sequachee Valley EC. Board members receiving the more involved Board Leadership certification were Dale Fain, Appalachian EC; Glen Page, Caney Fork EC; Stephen Douglass, Cumberland EMC; Nelson Crouch and Baxter White, Duck River EMC; and Britt Dye, Fayetteville Public Utilities. The Tennessee Magazine reception, featuring products made or produced in Tennessee, was held on Sunday evening, Nov. 18. Attendees to this year’s meeting also heard from Maj. Dan Rooney, professional golfer, retired fighter pilot and founder of Folds of Honor; Grammy-winning singer-songwriter Lee Greenwood; Tom Laing, researcher with TSE Services; Allen Borden, assistant commissioner with the Tennessee Department of Economic and Community Development; Tre Hargett, Tennessee secretary of state; NRECA President Mike Guidry; and Van Wardlaw, executive vice president of customer relations with TVA. The Quebe Sisters Band provided entertainment at the banquet. Images from the Annual Meeting are available here.